Since 1998, leading researchers active in the fields of neuroscience, aging, cardiovascular disease, cancer, eye health and other health-related areas meet annually in Bar Harbor, Maine, for the Wild Blueberry Research Summit. Known collectively as “The Bar Harbor Group,” the scientists meet to share their research findings and to explore opportunities for future collaboration. 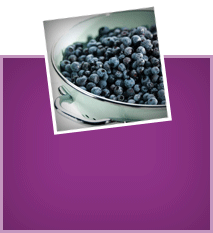 This year will mark the 20th Annual Wild Blueberry Health Research Summit in Bar Harbor Maine, (September 27-30, 2017) where eighteen leading researchers from the US, Canada, England and Germany will convene to share and discuss blueberry and human health research findings. Click here for a complete list of Bar Harbor Group members.